Tribal Business Journal is Here! The first issue of Tribal Business Journal, a new monthly magazine targeted to Tribal and business leaders of Native American enterprises, as well as organizations doing business with Tribes has been launched. 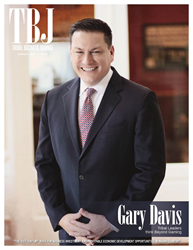 This magazine was created by a partnership between a South Florida publishing firm and a Native American Tribal business development group. He was referring to the number of advertisers and overall reception of the new monthly magazine of which he is the publisher. The Tribal Business Journal features articles and news about economic development in “Indian Country,” from southeastern Florida to Alaska Native Villages and the hundreds of tribes across the country.